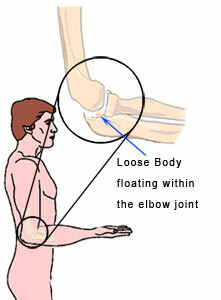 Loose bodies are usually the result of old injuries or osteoarthritis of elbow joint. Locking and pain are the predominant signs and symptoms. The condition may be treated by surgical removal of the loose bodies if conservative care fails. Copyright 2019 Premier Rehab Physical Therapy, All Rights Reserved. Powered by E-Rehab.